We love North and South Carolina. What’s not to love? The climate is perfect, the cost of living is affordable, the people are friendly and the jobs are available. 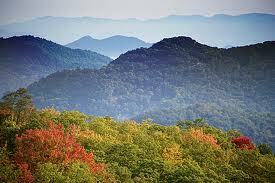 In addition, the Carolinas offer the perfect mix of beach, mountains, flat lands, and so much more. Here, we explore all of your Carolina options, from living on the water in Charleston, South Caroline to the Appalachian Mountains in North Carolina. We’ll take you to each location and explain the positive draws of living in the Carolinas. Southern living never looked better.